If you have found the perfect historical building for your new restaurant, retail space or other commercial property and have an amazing vision for transforming it into your dream space, there are a number of things you need to consider before getting too excited. While the charm of a stunning, old heritage building can be unmatched, historic districts come with a wide range of strict building codes that can make the conversion process difficult to navigate. Historic districts are specially-designated areas by cities, municipalities and states in order to preserve historical landmarks or entire regions, so that the area can maintain its historic fabric. When a district is provided with a historic designation, it means that the buildings and other properties throughout are protected so they cannot be instantly redeveloped or renovated without proper consideration from the preservation society. Why is historic designation is important? Historic designation ensures that a neighborhood is able to change to modern times, yet in a way that maintains the history that makes it so special. From historical homes to buildings that serve as important pieces of local history, the designation preserves the essence of the locality. However, that is not to say that historical buildings or properties in the district cannot be updated. They simply require special consideration from the designating authority, as well as stricter building permits and guidelines to facilitate the conversion process. What permits are needed to remodel a historic building? If you are looking to remodel a historic building for use as a restaurant, shop or other commercial property, then there are a wide range of city building permits that are necessary. Unlike your average building, restaurant remodeling in a historic district requires an additional review of design to ensure that the original structure is maintained and that the construction is done in a tasteful, complementary manner. Before you can even start with your commercial renovation project in a historic district, you must undergo a Landmark Design Review. This review focuses on the exterior work of a historic building, as well as demolition or development to the site. The design review is necessary to maintain the historic features of the building’s exterior, while ensuring that any changes are done so with the key historic features taken into account. After your project has been approved in design review, you will be issued a Certificate of Appropriateness, that you can then include in your zoning and building reviews to receive your building permits. This process can be extremely difficult, as design review boards are very specific on what features of a historic building and the surrounding area you are able to change. When looking to remodel a restaurant in a historic district, you want to make sure that your plans are subtle to avoid a decline in your project. If you are looking to add any additional structures to your building, then there are a lot of minute details involved. Depending on your region, you may be eligible for read additions under 1000 square feet, while still meeting all the necessary design guidelines. Any larger additions including an extra story, rooftop additions, patios or anything that can be visible from a public street can require a variety of additional building permits in a historical neighborhood. If you plan on converting a historic home into a restaurant or retail space, you will need to apply for zoning permits during the conversion process. This requires everything from the type of space you will be using to be approved, as well as meeting the legal zone lot requirements such as size, dimensions, street frontage and more for specific use. Even replacing windows in historic buildings requires special consideration, as most historic windows are considered to add character to the buildings. If your restaurant conversion of a historic building requires window replacement, you will need to obtain proper permits beforehand. Any additional work on a historic building conversion requires review and approval from the preservation organization, including the alteration or addition of patios, fences, roofing, skylights and more. Essentially, anything that can be seen from a city street in a historic district requires special approval and approval issuance, as to not disrupt the character of the area. That’s right, even hanging a sign outside your restaurant in a historic district requires approval. The preservation society will have design standards and comprehensive guidelines that ensure any signs which are visible on the exterior of your property fit with the locale. As you can see from the information above, completing a restaurant conversion in a historic district requires an incredible amount of planning, approval and adherence to strict guidelines. That is why it is highly recommended that you select and experienced, professional permit expediter for all historic building permits and approval assistance. These companies understand exactly what the preservation societies are looking for, saving you and your contractors save, stress and money on the project. By creating a proper historic conversion building proposal from the start, permit expediters ensure that you can move forward with your project without having to constantly undergo the Landmark Design Review. At Service First Permits, we work with clients that are developing and converting in all 52 of Denver’s historic districts to facilitate the approval process easily, quickly and stress-free. 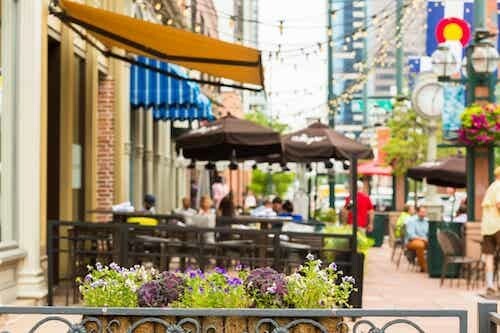 If you are looking to convert a restaurant in Denver’s historic district, then our experienced team of permit expediters are ready to navigate the historic building codes to avoid any unexpected setbacks. Contact us today for your free historic district permit consultation.